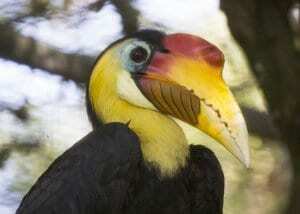 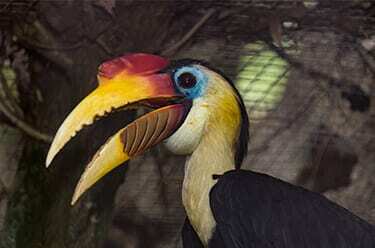 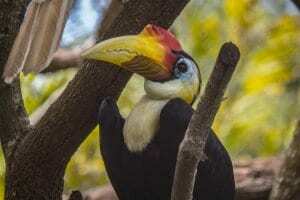 Although they look similar, hornbills and toucans are not related and they are found on opposite sides of the planet. 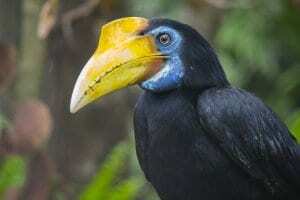 The fact that both have a long, curved bill is an example of convergent evolution! 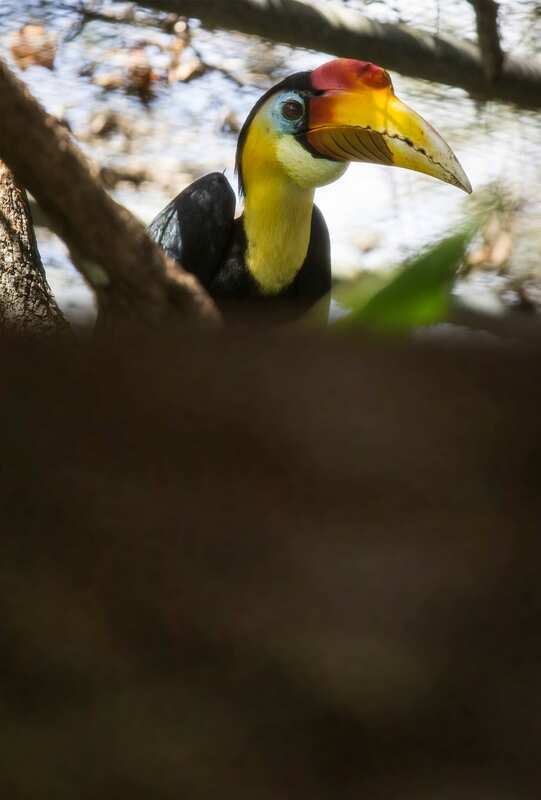 Using a mixture of food and poop, females will seal themselves in tree cavities for a full month while they incubate their eggs!